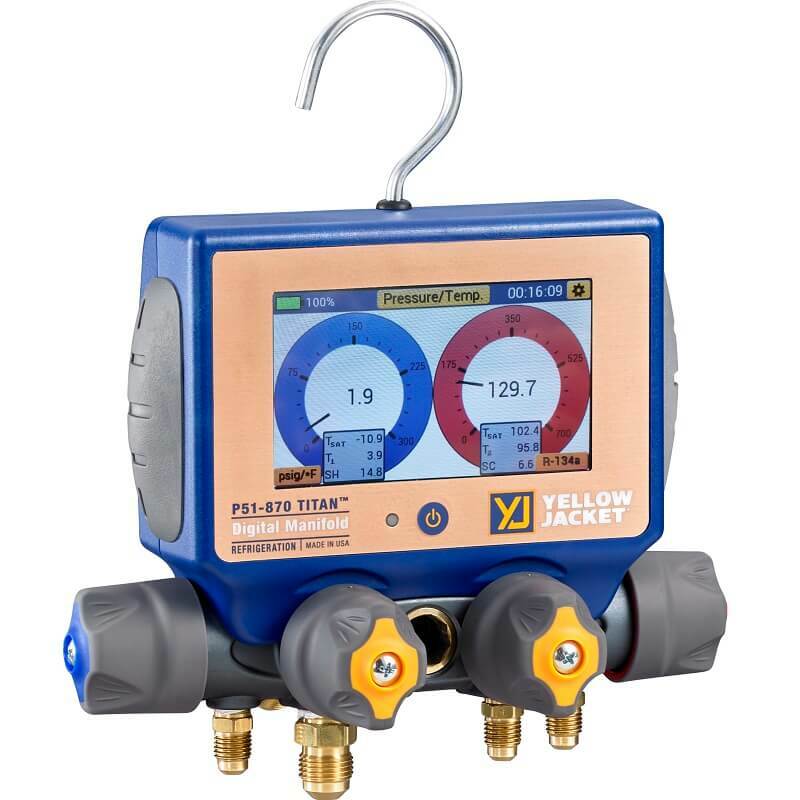 The Yellow Jacket P51-870 is the ultimate digital 4-valve manifold providing fast and accurate measurements for system pressures and temperatures, superheat and subcooling to provide instant analysis. 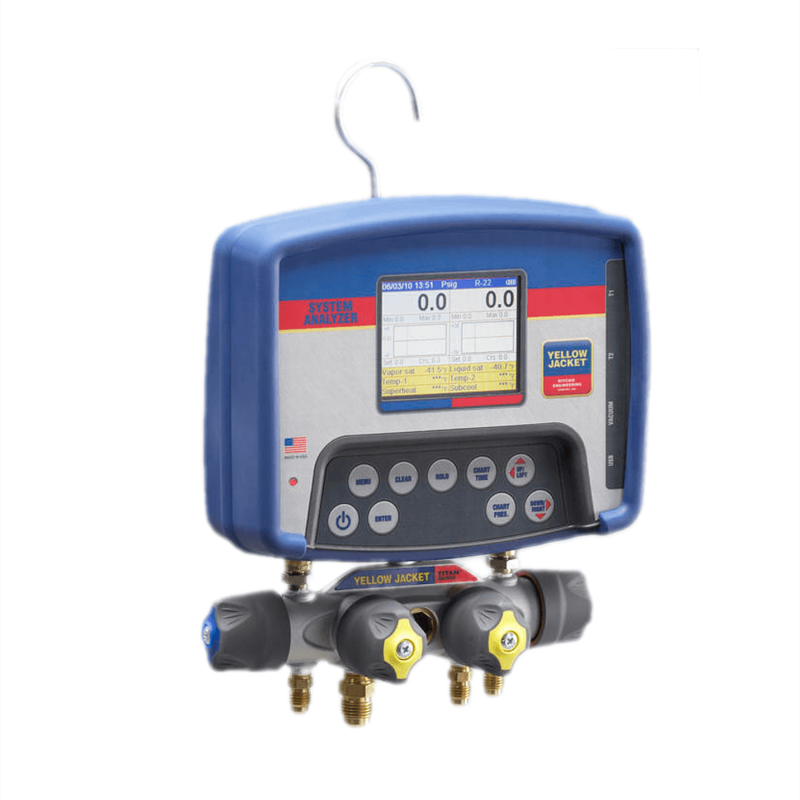 The digital manifold’s 4.3” full color touchscreen graphic display will provide digital and graphical representation of the pressure and temperature measurements. These measurements can be transmitted via Bluetooth to a Smartphone for even further analysis using the Mantooth app available for download through the App Store or Google Play Store. The P51-870 Titan also features internal data logging and standard vacuum sensor and measurements with the included vacuum sensor. 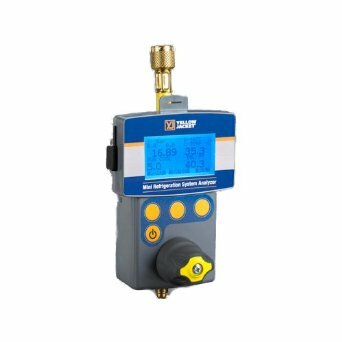 This easy to use digital wireless manifold will allow a service technician to easily obtain the necessary measurements to evaluate an A/C or refrigeration system. The P51-870 can then be used to evacuate, charge, recover and test for leaks if necessary. In addition, when using the Mantooth app, the superheat and subcooling can easily be obtained on a Smartphone. 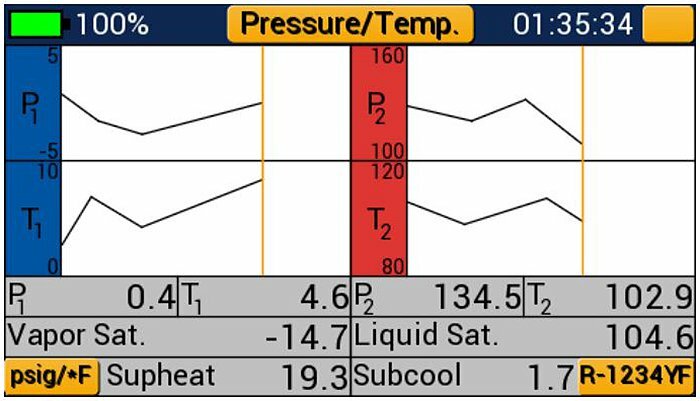 The Titan manifold includes two temperature clamps for monitoring system temperature, superheat, and subcooling. The temperature clamps when not in use can be conveniently clamped to the two pegs on the back of the unit. The digital wireless manifold utilizes a 2000mAhr rechargeable lithium battery that will provide 4 hours of battery life with full backlight brightness and 80 hours with no backlight. 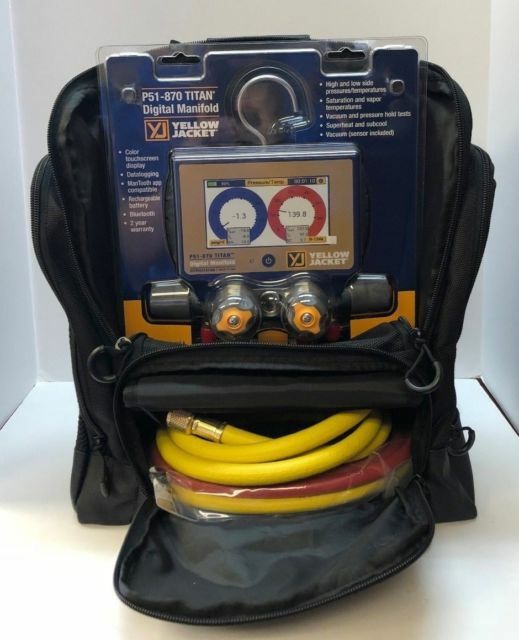 The Titan wireless manifold and (4) hoses are easily stored in the included backpack carrying case leaving a technician’s hands free to carry other equipment that might be needed. 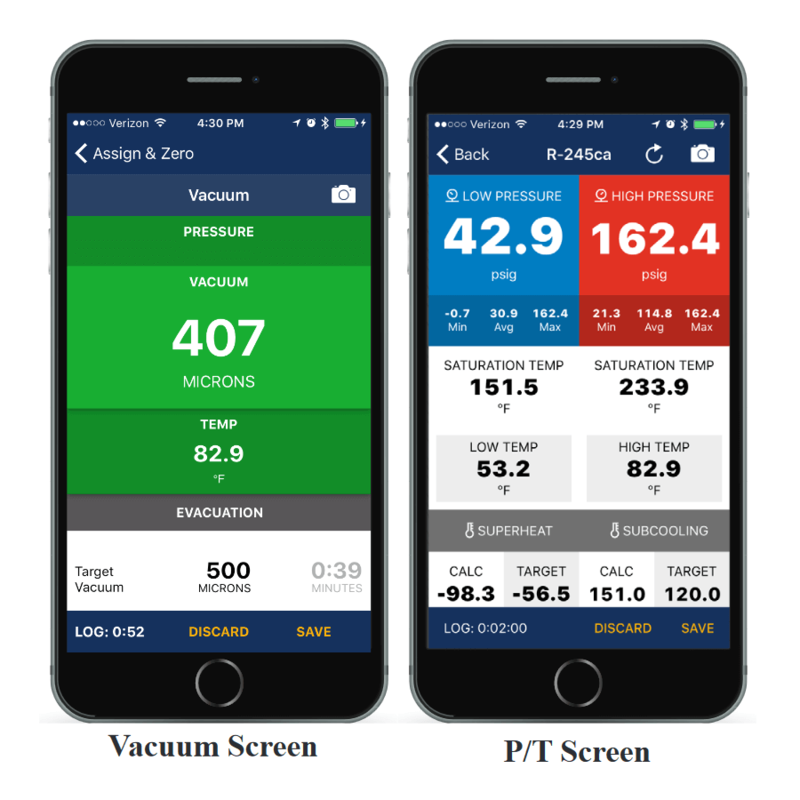 The P51-870 when connected to the Mantooth App via Bluetooth can be used by a technician to remotely monitor (has a range of up to 400 ft) system pressure, temperature, vacuum, and perform target superheat and subcooling calculations. The Mantooth app can also generate its own datalog files and job reports.